Fall is a beautiful season. Leaves are changing color and beginning to drop, the weather is cool but still comfortable and there’s a freshness in the air. So it comes at no surprise that fall weddings are popular and on the rise. After all, the summer heat is gone, which means your guests won’t be baking through your outdoor ceremony. Before you decide that fall is the best time to tie the knot, though, you need to know that the fall season has its own set of wedding related obstacles. Below, a seasoned wedding planner in Northwest Indiana shares a few common wedding pitfalls and tips to avoid them. Fall foliage is pretty, but not guaranteed. Your plans for an outdoor ceremony with natural fall-colored foliage may be foiled by an unexpected cold front. What to do: Of course, you’ve planned your wedding day well in advance, but the weather forecast cannot predict with any accuracy the weather conditions several months out. But never fear! An outdoor fall wedding is still possible as long as you, your wedding party and guests are prepared for Mother Nature. Either in your invitations, on your wedding website or in an email, make sure to communicate that the day or evening might get a little chilly. That way, everyone attending will know to bring a warm garment just in case. For added comfort, consider providing light wraps, setting up heat lamps or even lighting fire pits at the reception. Fall is the start of the holidays, including many religious holidays. What date do you choose so that most of your guests can attend your wedding celebration? What to do: You can send out save-the-date cards as early as you want, but the truth is that someone is bound to have a conflict with your wedding date. It’s fall, which a busy holiday time for most people. It’s for this reason that brides- and grooms-to-be should do a little research to make sure most of their guests can attend. Type something like “wedding dates to avoid this fall” into your search engine to get some insight into dates that may not be on your radar. You have a favorite flower, but as fate would have it, it is not in season. What to do: Even though your favorite flowers are out of season, would you feel a little better if we told you that you can save money using in-season flowers for your big day? The best part is you have a lot of blooms and non-floral elements to choose from. Popular fall wedding flowers include dahlias, chrysanthemums and asters. To make your bouquets more beautiful, you can incorporate festive fall fruits and vegetables—like a variety of small apples, ornamental cabbages or pomegranates, peppers and cranberries. Mini jewel corn, gourds and pumpkins make for lovely centerpieces for fall wedding receptions. 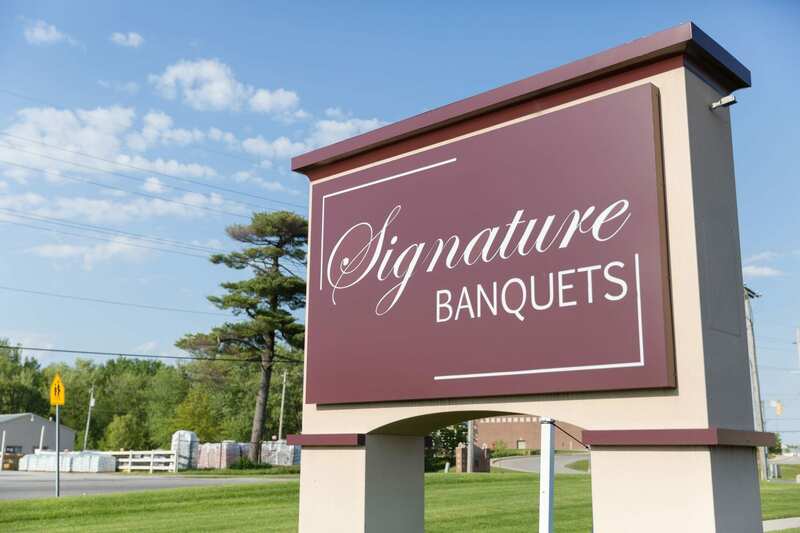 Whether you need a wedding venue or wedding planner in Northwest Indiana, look no further than Signature Banquets. Call us today to schedule a free consultation and get a tour of our event venues!